Who’s like to open a holy bookshop, like the one in The Storied Life of A.J. Fikry (originally published as The Collected Works of A. J. Fikry)? I surely would. […] a holy place. With bookstores like this, I feel confident in saying that there will be a book business for a very long time. This is Maya. She is twenty-five months old. She is VERY SMART, exceptionally verbal for her age, and a sweet, good girl. I want her to grow up to be a reader. I want her to grow up in a place with books and among people who care about those kinds of things. I love her very much, but I can no longer take care of her. The father cannot be in her life, and I do not have a family that can help. I am desperate. The toddler immediately steals the man’s heart, driving him to rebuild his life, to put himself out there and, above all, to love his job again. With a little help from the adorable police chief Lambiase, his sister-in-law Ismay, and the Sales Agent Amelia Evans, A.J. and little Maya turn Island Books into a place of light. Weirdly, A.J. thinks of Proust. Though he pretends to have read the whole thing, A.J. has only ever read the first volume of In Search of Lost Time. It had been a struggle to read that much, and now what he thinks is, At least I will never head to read the rest. He Googles the questions: “What do I feed a twenty-five-month-old?” and the answer that comes back is that most of them should e able to eat what their parents eat. What Google does not know is that most of what A.J. eats is disgusting. The Storied Life of A.J. 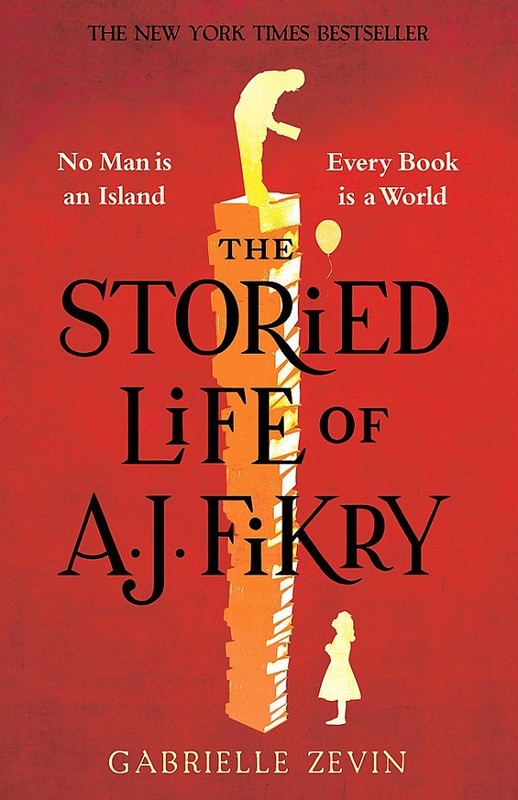 Fikry (originally The Collected Works of A. J. Fikry) is a wonderful and touching love letter for books, for all the people who, everyday, contribute to their existence, from publishers to booksellers, because each book is a world that can leave a mark in a person’s life in infinite different ways, according to what that person needs right there and then. We can all find what we’re looking for in a book: motivation, comfort, love, inspiration, courage, and so on. Despite many foresee the “end of books”, I feel optimistic, like this book, because we still do need — maybe more than ever —these magnificent doorways to freedom.